Real estate investing has become an attractive way to build wealth right now. Home prices have fallen and everyone from the government to home builders is offering incentives to attract people to the market and interest rates are at multi-decade lows. So Alex Abossein shared some information tips to invest in real estate. First, if you’re serious it’s best to talk to a real estate professional. A professional will know what banks are loaning and at what rates by comparing your situation to other’s they’ve helped and can help you identify trends, research prices in your market and fair rental prices. It’s also important to check out your credit score and talk to your bank to figure out how much you can borrow for your investment and at what interest rate. You can do that with an online tool called a mortgage calculator. Input the principle, property appraisal value, rates and terms and you get an idea of your monthly payment. Some allow for your credit score and any income that property may generate. This will give you a general idea of your options what you can afford. You also must develop a plan. Lenders want to know before they lend the money what you’re going to do with the property and how you’re going to make money on it or how you’ll pay back the loan. 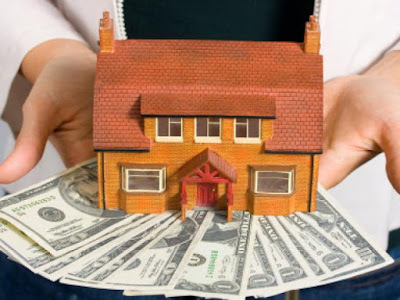 What you’ll do with the property will have some bearing on what type of loan is right for you. If you’re thinking of flipping the property soon, then an adjustable rate mortgage, an ARM may be the best. An ARM allows you to borrow more at a lower rate, making your payments lower while you prepare it for reselling. Real estate investing is the serious business that can make you serious money. But like any big decision, it’s best to consult industry professionals and research before you dive in.